He obtained a PhD in physics at the University of Geneva (UNIGE), where he became director of the Institute of Physics at the age of 30, before pursuing his research at CalTech from 1948. 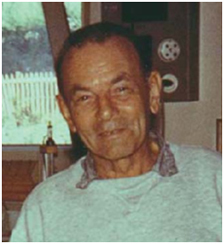 Jean Weigle is known for his major contributions in the field of bacteriophage λ research, focused on the interactions between those viruses and their bacterial hosts (E. coli). He developed the first electron microscope made in Switzerland, an important step for studies in molecular biology, leading to the creation in 1962 of the Institute of Molecular Biology. Part of his work contributed to the discovery of the so-called restriction enzymes. Jean Weigle is most noted for his demonstration, with Matthew Meselson of Caltech and Grete Kellenberger of Geneva, that genetic recombination involves actual breakage and reunion of DNA molecules. He also demonstrated the induction of DNA damage-response genes in bacteria, known as the SOS response: he showed that the viability of UV-irradiated single-stranded DNA phages can be restored by pretreating E. coli host cells with UV, a process referred to as Weigle reactivation. The mutability of these phages is increased in parallel, a process termed Weigle mutagenesis. Every year, a renowned scientist in the field of Molecular Biology is invited by the Department of Molecular Biology to give the Weigle lecture at UNIGE, in his honor. Trained in chemistry at the Swiss Federal Institute of Technology in Zurich (ETHZ), she worked at UNIGE in the biophysics group of Jean Weigle from the late 1940s. Specialized in molecular genetics, including that of bacteriophage T4 – especially in genetic recombination – Grete Kellenberger made contributions of primary importance during the 1950s and the 1960s, in collaboration with the future Nobel Prize laureate Werner Arber. After a sabbatical year at Kansas State University, she held a research fellow position at the Oak Ridge National Laboratory, Tennessee. Back in Geneva in 1971, she worked in the group of Lucien Caro, at the Department of Molecular Biology, until 1980. 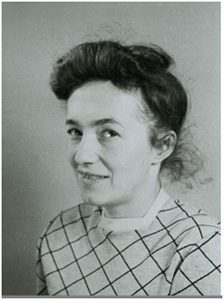 Grete Kellenberger, a pioneer in genetic analyses of bacteriophages, contributed to the birth and development of molecular biology at UNIGE, as well as at the international level. Such is the amazing destiny of a woman who was internationally recognized for her outstanding research achievements, while not holding a university degree nor ever having an independent post. The obstacles to her career development were numerous, especially the patriarchal stereotypes in a country which did not allow women to vote at the federal level until 1971. Grete Kellenberger received the World Prize Nessim-Habif, awarded by the Faculty of Medicine of UNIGE in 1979. With a PhD in chemistry on serine proteases from the University of Oregon, he pursued his research in Cambridge, UK, and then began a postdoc in the laboratory of Alfred Tissières at UNIGE in 1966. His work on ribosomes, which started at that time and which he has pursued during the past 40 years, has led to many key discoveries to reveal the structure and function of these particles in the translation of messenger RNA into proteins. Harry Noller notably determined the three-dimensional structure of the ribosome in action and unveiled its functioning at the atomic level. Thanks to him, the mode of action of certain antibiotics was also uncovered. He is a professor at the University of California, Santa Cruz, since 1968 and director of the Center for Molecular Biology of RNA. A sabbatical in Geneva in 1975 allowed him to sequence ribosomal RNA and to demonstrate its crucial role in the functioning of this complex molecular machine. 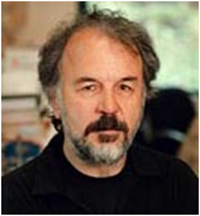 His work has garnered numerous awards and honors, including an honorary doctorate awarded by UNIGE in 2012, following a proposal from the Section of Biology.